There are many reasons for which many of us have to deal with uneven skin tone. It may be age spots, dark circles under the eyes, acne scarring or other various problems that may cause uneven skin tone. Solving this problem isn’t that difficult, but you need to take in consideration some issues. As a matter of fact, the market is full of skin whitening creams, creams for bleaching age spots which is why choosing the efficient one isn’t easy peasy. Here are some things to keep in mind next time you’re shopping. What is skin bleaching anyway? Why would you want to bleach your skin? Melanin is a skin pigment that controls the color of your skin. A skin lightening cream for black skin is going to control the production of melanin, ensuring a lighter skin tone. 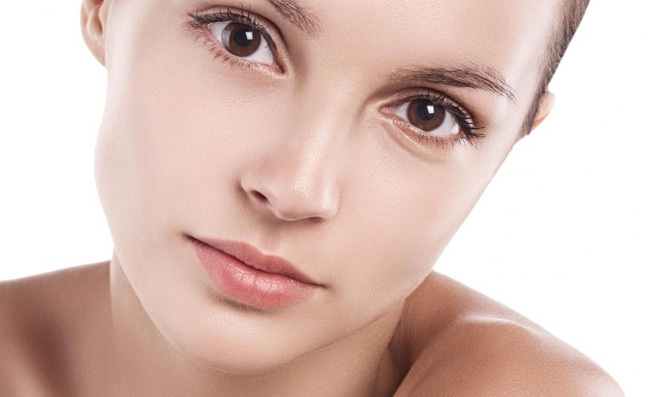 You may find skin lightening creams that are purely natural and present impressive results as well. They’re made with natural FDA-approved ingredients that are known for years for their effect on the whitening of skin. Skin bleaching or skin whitening is when you’re using a chemical agent to whiten your skin, or when you want to minimize age spots, blemishes or freckles. This type of creams is going to reduce the pigment of your skin, ensuring a more even skin tone altogether. There are many medications that you may very well for bleaching your skin at home, but not all of them work or are safe on the long run. You may find safer, more effective ways to naturally bleach your skin so you can definitely give it a go with the skin whitening formulas at home that you can make from natural products from the market. We all know how the early meetings of Africans with Arabs and Europeans went. They considered African aesthetics ugly and even today Africans are still trying to face the psychological impact of these unfortunate encounters. The “internalized self-hate” may be the reason for which many African men and women may bleach their skin, wear fake wigs, perm their hair or get a “pointed nose” so that they would look like their ancient oppressors. Mainstream media from Western and Middle East world are still promoting lighter complexioned people. No matter the reasons, you do look younger when your face has even tone and is speckles free. Bleaching your skin is easier and cheaper than using tons of makeup to cover blemishes, age spots or freckles. We are all different so you need to pay attention to your skin and body after starting to use a bleaching skin cream. Most whitening creams for dark skin include hydroquinone, an ingredient that makes sure your skin isn’t going to produce pigment anymore, giving the lighter complexion. If you’re going to use such a product, you may want to stay away from the sun as the pigment reduction may cause severe sun burns. You don’t want to spend time in the sun when you’re trying to bleach your skin, but the risk if even higher if you’re using a product with hydroquinone. You should wear clothing that covers your entire body and pay extra-attention to your face. Any medication you would take for skin bleaching may have some side effects and even the high-end products can have some unpleasant side effects. If you don’t know by now, hydroquinone has been linked to cancer for many years now. Even though this ingredient isn’t banned in all countries, it has been removed from many products. Nevertheless, it seems that more research needs to be done on the matter. There are some things to keep in mind when selecting the skin bleaching product. Many are aiming for an overall skin complexion, which is why they’re going to use a skin whitening cream that solve a number of various skin conditions associated with hyperpigmentation. An effective whitening cream is going to reduce the appearance of dark pigmentation by inhibiting the production of melanin in the specific areas. A good whitening cream is going to also solve: acne scars, dark spots, dark underarms, sun damage, uneven skin tones, hyperpigmentation, uneven skin tones. This means you should know if your skin is dry, oily, normal or combination skin. There are skin bleaching products that include lemon juice that may dry your skin pretty hard. They may also include harsh chemicals that may irritate a sensitive skin and give unpleasant side effects, when used on a consistent basis. People of various ethnicity differ not only in skin color, but also in the structure of the skin. Asian and African skin is typically thicker and more compact, which means it develops less wrinkles that white skin. A darker skin also retains more moisture and sheds the outer layers more often. The abnormal scarring and keloid formation is also more common for the black skin because of the larger melanosomes and fibroblasts. The skin whitening products are going to work on all skin colors, but the time needed may be longer for the dark skin. You could talk to a doctor or a dermatologist to take a look at your skin, for a more professional treatment or for using a specific skin whitening product. As mentioned before, many of the skin bleaching products out there do include hydroquinone, but you may also get hydroquinone-free skin whiteners that are way safer. No matter the skin whitening solution that you’re deciding to go with, you should always remember that it’s going to make your skin more photo-sensitive. This means you should control the sun exposure when bleaching your skin. Use a long sleeve shirt and hat when going outdoors and apply a high SPF sunscreen that blocks UVA and UVB rays from the sun. The UVB rays cause sunburn and even skin cancer, whereas the UVA rays are the main cause for tanning an ageing of your skin. You can find a sunscreen that has an SPF of 110 (Neutrogena) that is oil-free and blocks UVA and UVB rays altogether, protecting your skin during the whitening process. If you’re going to use a skin bleaching cream, you should carefully read the list of ingredients. You should stay away from hydroquinone, mercury, and steroids also. An all-natural product is the ideal choice and there are still skin products out there that include mercury. A skin whitener that includes only natural ingredients that work for bleaching your skin is great. A cream like that would include mulberry extract, bearberry extract, kojic acid, Gigawhite and Vitamin C.
An ideal skin bleaching cream works for all skin types and may be used on all parts of your body and face. You should consider minimize the intake of caffeine since it increases your body heat. This also causes the production of melanin, making your skin darker. No matter if you’re whitening your skin or not, a balanced diet is the key for a healthy skin. When you decide to follow a skin whitening process, you need to know that many things can have an influence on the whole process. This is a process that takes time and you need to be patient until you see the results. Whether you go with a skin lightening cream from the market or try some remedies at home, you should always go with creams that include natural ingredients. You should never expose children under 12 years of age to any type of bleaching cream as many of them to include ingredients that may aren’t safe for a child’s skin. No matter the skin bleaching cream for black skin that you’re using, you should always apply it per the directions. Give this type of products time until you see the results and avoid as much as you can sun exposure. Melanin it the pigment that protects our skin from the harmful UV rays of the sun. as a skin bleaching cream is going to control the melanin production, you may give a thought on the risks you’re exposing to when using such a cream. It may have harmful side effects, in the long run. Don’t forget you can also make your very own skin whitening home remedies or go for some natural skin lightener products, just to play it on the safe side. Talking to a specialist before using a skin whitening cream is always an important step as you don’t just want to have a whiter skin, but also to keep it healthy for as long as you live.